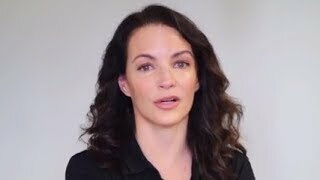 Internationally renowned actress Kristin Davis has been supporting UNHCR since 2014, and was announced as a Goodwill Ambassador in April 2017. Following her mission to Bangladesh, Kristin travelled to Washington, DC where she spoke about the Rohingya refugee crisis with members of Congress. She shared stories about the plight of Rohingya refugees, highlighted the importance of UNHCR’s response and advocated for continued support from the U.S. government. Learn more about the Rohingya Emergency here and help UNHCR protect the thousands of refugees who have fled to Bangladesh by donating here. In 2016 Kristin travelled to Rwanda to meet refugees from Burundi and the Congo. She later met some of the same families following their resetttlement in the USA, learning about the new opportunities and challenges they faced in starting their lives anew. Earlier, in June 2015, Kristin visited Uganda and the Democratic Republic of Congo with UNHCR, meeting families displaced by conflict and violence. She filmed a TV fundraising appeal that was aired in Asia, Australia and the US. In January 2016 Kristin visited Australia to support UNHCR fundraising activities focusing on programmes to support women victims of sexual violence in Congo. Kristin has highlighted the work of UNHCR in extensive media interviews and writing of features and opinion pieces and has helped shine a spotlight on the global refugee crisis via her social media channels. Kristin has supported key UNHCR events and campaigns including World Refugee Day, the Nansen Refugee Award and a film highlighting the important difference between refugees and migrants and the different protection they are entitled to under international law.